The first coffee shop in Tokyo opened its doors in 1888 and, while it’s no green tea, the Japanese have been refining their taste for the drink ever since. Known as the Kahiichakan, it was the brainchild of Tei Eikei, a genteel, Yale University-educated gent who epitomized the 文明開化 (bunmei kaika, the opening of Japan to “civilization and enlightenment”) spirit of the Meiji Era (1868-1912). The Kahiichakan was packed to the brim with Western amenities — rattan armchairs, billiards, newspapers and more. While the Kahiichakan’s doors closed a few years later, its legacy remains. Now, more than a century has passed and Japan’s coffee shops have proliferated and diversified, so much so that in 2017 the country imported around $1.4 billion in coffee. Aficionados might already be familiar with the term 喫茶店 (kissaten, the so-called old-school coffee shop) and some of its variants — ジャズ喫茶 (jazu kissa, jazz cafe) or 純喫茶 (junkissa, “pure” cafes that serve only coffee) — but the advent of チェーン店 (chēn ten, chain shops) like Starbucks in the 1990s and サードウェーブコーヒー (sādo wēbu kōhii, third-wave coffee) in the 2010s has birthed a whole new lexicon of specialized coffee vocabulary that makes ordering a basic black an intimidating process, even for native speakers. コーヒーを楽しむ為に、プロになるまでもない (Kōhii o tanoshimu tame ni, puro ni naru made mo nai, You don’t need to be a professional to enjoy coffee). To figure out what to order amid a sea of シングルオリジン (shinguru orijin, single origin — a cup of coffee made with beans from only one geographic source) or ブレンド (burendo, blend — coffee made from a mixture of different beans) options, it’s just a matter of establishing what you like. When at a loss, it might be tempting to simply ask the barista お勧めのコーヒーはどれですか (O-susume no kōhii wa dore desu ka, Which coffee do you recommend?) or, even more casually, お勧めはなんですか？ (O-susume wa nandesu ka, What’s your recommendation?). However, they’ll likely reply with something along the lines of 個人の好みによって違います (Kojin no konomi ni yotte chigaimasu, It depends on your individual preference). A better way to ask for a coffee recommendation is to provide some initial parameters by saying 私は～が好きなのですが、お勧めはどれですか (Watashi wa ~ ga suki nanodesu ga, o-susume wa dore desu ka, I like ~, so which of these is your recommendation?). But how do you even begin to figure out what type of coffee you like? 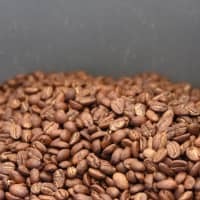 There are several ways to establish your “coffee parameters,” and one of the first is to consider what roast you prefer. Most third-wave coffee shops specialize in 浅煎り (asairi, light roast) or 中煎り (chūiri, medium roast) while kissaten usually offer 深煎り (fukairi, dark roast) coffees. 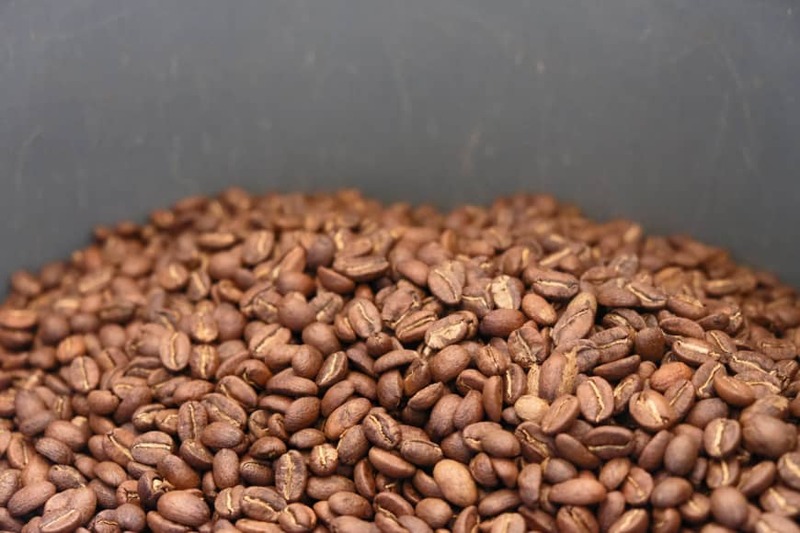 Some shops will also emphasize that they are 自家焙煎 (jika baisen, in-house roasters) who buy 生豆 (namamame, green coffee beans) and roast them on their own 焙煎機 (baisenki, roaster) rather than sourcing already-roasted beans from elsewhere. Once you know your roast, it’s good to establish what flavors you like. Some shops, like Cottea in Tokyo’s Shibuya Ward, array their offerings on a grid to make it easier to understand what each coffee tastes like. Cottea’s coffees are sorted by 酸味 (sanmi, acidity), 苦味 (nigami, bitterness), 甘味 (amami, sweetness) and ボディ (bodi, body), which is the coffee’s 食感 (shokkan, mouthfeel). You can also keep track of these coffee profiles yourself, even when a shop can’t help you out. For instance, I keep a journal that tracks sanmi, nigami, amami and bodi, as well as 香り (kaori, fragrance) and 余韻 (yoin, aftertaste). By drinking (lots of) coffee and keeping track of my impressions, I’ve got a pretty good sense of what flavors I like. So now, when I visit a shop and don’t immediately know what to order, I just say フルーティーで酸味のあるコーヒーが好きです (Furūtii de sanmi no aru kōhii ga suki desu, I like fruity and acidic coffee) and go from there. One of the best things about living in Tokyo, and visiting other cities in Japan, is being able to explore the many different neighborhoods. 東京のまだ行ったことのないエリアに行きがてら、いつも地元のコーヒーショップにも行ってみます (Tōkyō no mada itta koto no nai eria ni iki-gatera, itsumo jimoto no kōhii shoppu ni mo itte-mimasu, When I visit an area of Tokyo I’ve never been before, I always try going to the local coffee shops at the same time). That “A～がてらB” structure is handy, though a little more nuanced, and generally used with movement-related actions. Unlike ～ながら (~nagara, while) or other constructions that indicate two actions are happening at the same time, ～がてら implies that you are taking advantage of the opportunity provided by action A to do B at the same time. Local coffee shops allow you to (pardon the pun) discover the flavor of the local culture. And who knows, maybe you’ll find a new favorite haunt while you’re out and about. Plus, I can guarantee that 自分に合う美味しいコーヒーを見つけたら、もうコンビニのコーヒーは飲めないでしょう (Jibun ni au oishii kōhii o mitsuketara, mō konbini no kōhii wa nomenai deshō, Once you find a delicious coffee that’s to your taste, you won’t be able to drink convenience store coffee anymore).